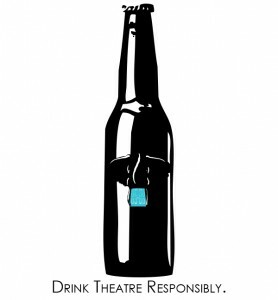 Bertolt Brecht was once quoted stating “A theatre without beer is just a museum.” Elephant Room Productions invites you to join us on our journey of art and beer this coming season. Every production we create is paired with a beer to give you not only an entertaining night but an experience you will never forget. Our company brewer, Donovan Krebs, has mashed up some frothy badass brews for this season you will not want to miss! Our Spring production of Beautiful American Soldier will be paired with the “Forbidden Brew”, an intriguing mixture of two different styles of beer and our Summer production of Suicide Stories will be joined together with a S.M.A.S.H styled brew, aptly named “Your Personal Pale Ale”.